HAMPEL Fine Art Auctions has ranked among the world’s most important international hubs for fine art, antiques and luxuries. The auction house was founded in 1989 and quickly achieved initial success on the regional market. The hugely successful auction of the art objects and inventory of The Munich Grand Hotel Continental in 1994 was well covered by the media, putting HAMPEL on the map far beyond Munich. 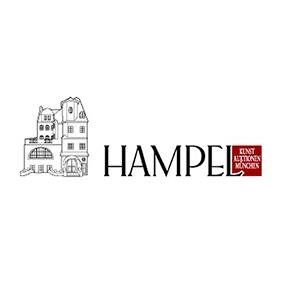 In 2005, owing to previous successes and a reputation for its high representational qualities, HAMPEL was entrusted (in preference to long-established auction houses) with the sale of probably the largest private collection of works by the Berlin artist Max Liebermann. A series of very successful auctions of private collections followed such as the auction of art and designer objects from the villa of Carl Laszlo in Basel or the auction of the inventory of the Kitzbühl villa of the Munich restaurant legend Gerd K?fer – both in 2016. HAMPEL excelled early on with its focus on Old Masters and gradually added new departments. Thus, today’s auctions also include premium works of modern art, great antiques and sculptures, exquisite furniture, exclusive wristwatches, jewellery, luxury and designer objects.